Birthday celebrations are become so clichéd with all the balloons, gifts and surprise parties. It is now time to break free and do something unique. Let’s do something that would be remembered for time to come and will go down in history as something really special that happens once in ages, something that every participating member of that birthday party is going to enjoy to his fullest. If you really want to do something like that then go for Birthday Limousine hire from Deol Limo Limousine Service. We have a number of limousines that we offer for birthday services. Of course limousines are luxurious in themselves but we can make this experience even more unique for you by adding the services of decorating your limousine for you for this special occasion. If you want you can have it decorated from outside as well as inside. Hiring a limousine for birthday works both ways; if it’s your birthday you can hire a limousine to invite your friends for a great time out and if one of your friends is reaching his golden birthday then it would be the perfect gift for him. With each of our different limousines, the experiences are totally different and therefore choose carefully from the different limousines available at Deol Limousine Service. The Navigator Limousine seems to be the best for this purpose as it has the cool technology of Navigation system fitted inside of it. With this technology, you and your friends can locate the best event you want to hit on that special day. But if you want you can go for the ever popular Hummer Limousine. With this limousine we can offer many other cool features like a loaded deck system or arrangement of chilled beverages. We can even offer the red carpet service. Customize any of our limousines to suit your birthday needs. Besides the above mentioned, we have Ford 650 Limousine, Ford Expedition, Rolls Royce, the Bentley and even Limousine Bus. Surely one out of these is going to be the perfect one for celebrating an important birthday. 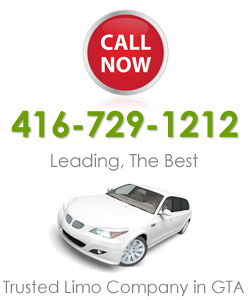 Main Toronto city is not our only operating area; we also serve many other smaller cities and towns in Toronto. Some of the cities where we have already made valuable customers are Oakville, Richmond, Mississauga, Markham, Brampton, Woodbridge and many others. Whatever the occasion and whatever the time, we are ready to serve you with quality service and best limousines so be sure to drop by so we can work out a great deal.